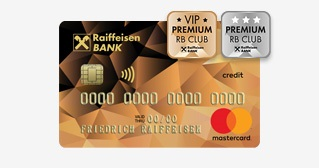 The Board of Directors of Raiffeisenbank a.s., Hvězdova 1716/2b, 140 78 Praha 4, calls for ordinary General Shareholders Meeting of the Raiffeisenbank a.s. The ordinary General Shareholders Meeting will take place on April 29th, 2019 at 9:00 a.m. in the registered seat of Raiffeisenbank a.s. in Hvězdova 1716/2b, 140 78 Praha 4. The Decisive day for participation on the ordinary General Shareholders Meeting according to § 405 of the Act on Corporations and respective provision of Raiffeisenbank a.s. Articles of Association, is April 22nd 2019. All shareholders listed on the extract from the Central Securities Depository as of the decisive day are entitled to take part on the General Shareholders Meeting either personally or based on the proxy. In Prague, on March 26th, 2019.